Join Kathie and her love of painting by getting outside to capture the fresh spring colors in the Atlanta History Center’s most beautiful gardens and grounds! Tuition is $495. Register by clicking the button below or call 404-376-7075. 26 of America’s most accomplished contemporary impressionist artists arrive in Georgia. They will be capturing the beauty of our mountains, coastline, lakes and rivers, farmland, cityscapes, historic places and vanishing landscapes as they paint throughout Georgia/Metro Atlanta the week April 28 - May 5, 2019. Website and social media will be constantly updated with the most current schedule of events. NEW & EXCITING CHANGES THIS YEAR! Four New Things to Know About Olmsted Plein Air This Year! 1. This years Headquarters and Exhibition Gallery is located at 711 Miami Circle. The Gallery will be open everyday April 28 - May 5 showcasing fresh paintings for sale. Dawn Whitelaw*** - Olmsted Plein Air Alumna | Demonstration and then Lecture. Collectors Perspective - Understating the unique qualities of plein air painting. Stacy Catron and Mary Ann Eaddy: Authors of the highly acclaimed Seeking Eden: A Collection of Georgia’s Historic Gardens are featured presenters. Suzie Baker: 2019 Olmsted Plein Air Artist | Live painting demo and lecture. What Color is That? How to See Like an Artists. Cynthia Rosen: 2019 Olmsted Plein Air Artist paired with Helen Smith who will create a floral design live. Learn from Cynthia (Master of the Palette Knife) as she creates a painting from Helen’s floral composition. Crista Pisano: 2019 Olmsted Plein Air Artist | Does Size Matter? Perceptive of a Fine Art Petite Painting From Start to finish? 4. The exciting PaintQuick Competition will be held Saturday, May 4th, 9:00 AM - 11:00 AM. NEW THIS YEAR, the PaintQuick will be held in the Deepdeen segment of Atlanta's Olmsted Linear Park. The Exhibition Gallery at 711 Miami Circle will be open every day 10 AM - 5 PM. Fresh Paintings will be Competition paintings will be held back and revealed at the Awards & Collectors Soiree. Their work will be judged by and esteemed panel of Judges as they the vie for a purse and the pursue winning the Olmsted Plein Air Invitational. All works produced will be available for purchase at various places throughout the week in addition to the Awards & Collectors Soirée and Public Gallery Exhibition. 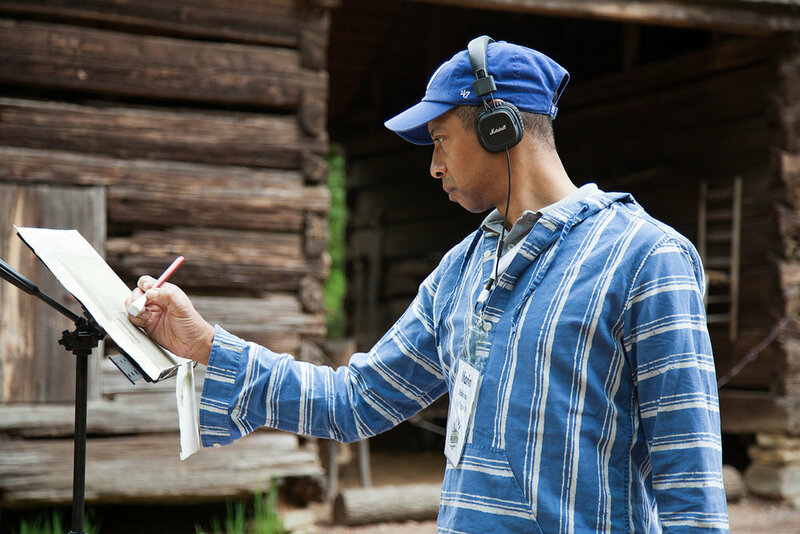 Experience competition Artists document the 33-acre grounds of Atlanta History Center which features award-winning exhibitions, historic houses and enchanting gardens . 10:30 AM - Staci L. Catron and Mary Ann Eaddy: Authors of the highly acclaimed Seeking Eden: A Collection of Georgia’s Historic Gardens are featured presenters. The event of the spring! Join us in celebrating in the true spirit of plein air painting. 100% of the ticket price of the Meet the Artists Welcome Event can be applied to a painting. Each year the Meet the Artist Welcome Party is the opening event for Olmsted Plein Air Invitational. It is the social event of the spring for anyone to loves or collects art. It is one of the most compelling experiences of the week-long Invitational. The evening, held at a different location every year, is a chance to celebrate nature and art as they did in the gilded age of impressionist era painters, when patrons and collectors would explore an exquisite landscape while artists fashioned masterpieces in their midst. This year’s Meet the Artist Welcome Party will take place in the heart of our city at the Smith Family Farm, a 1860s farmhouse, outbuildings and period gardens on the grounds of Atlanta History Center. Attendees are encouraged to walk the grounds of the property and watch the 26 competing artists capture the moment on canvas. It is also an opportunity to take note of whose artwork to watch throughout the week. Getting to know the Artists in this this natural setting among the trees where attendees can experience live painting is truly memorable, fun and historic experience remissness of early Atlanta. Paintings created the previous days around Georgia as well as the day's work on the Atlanta History Center grounds will be assembled for show & sale. Price of your ticket will be credited toward the purchase of a painting. Enjoy food and live music shared by the competing artists and art patrons alike. The PaintQuick™ Competition is a plein air painting competition exhibit that is open to anyone who wishes to participate. If you would like to paint in the PaintQuick™ follow the registration process below. On-line registration is open. Event check-in is at 7:45 a.m. The competition includes invited artists, professionals, enthusiasts and the simply adventurous who compete in this fun event. These artists paint in the Olmsted Linear Park and have two hours to complete their work. During this short time, all registered PaintQuick™ participants set up their easels and paint or draw en plein air in the Atlanta's Olmsted Linear Park. This is one of the most compelling exciting experiences of the week. Together, artists and spectators are immersed in the creative process. See the scenes and how the artists interpret them. Smell the wet paint and get caught up in the joy of watching 100's of paintings come to life before your eyes! After the PaintQuick™, an exhibit is held in the Olmsted Park where they were created. The paintings are judged by Olmsted Plein Air Invitational Judges and Awards will be presented at 12:30 pm. Paintings will be for sale. Paintings will be removed at 2:00 p.m. Everything about PaintQuick™ is quick...so do not miss out! For more information and Tips on Plein Air Painting, click here. SATURDAY WALK UP REGISTRATION IS $50.00 CASH AND ONLY IF CAPACITY HAS NOT BEEN REACHED. View the Exhibit & Meet the Artists, Purchase a Collectible Piece of Art. Join us at the 2019 Olmsted Plein Air Invitational Gallery Exhibition and Sale where the general public is invited to view the exhibit of over 100 original works of art available for purchase. Before the show concludes at 6:00 pm, we invite you for a Champagne Toast. We'll Toast the Show. We invite you to a showcase exhibit of work created by this year's Invited Artists. Don’t miss this opportunity to be the first to see works of the 26 of America's most accomplished outdoor painters that are coming to Atlanta to compete in the 2019 Olmsted Plein Air Invitational in April. Collectors Preview Gallery Paintings will be available for purchase. Cost: Included with FRIENDS of Olmsted Plein Air or $50 separately. A single ticket will credited toward the purchase of a painting. In addition to the the Preview of work, award-winning Olmsted Plein Air Invitational Artists, Stephanie Amato and Daly Smith, “en plein air.” Stephanie and Daly will be demonstrating oil mediums as they capture the beauty of Druid Hills Golf Club. Attendees will have the opportunity to chat with the artists as they work and learn about their process and the challenges of working outdoors. On view in the gallery will be a selection of recent works by the artists. Tickets to this Preview Gallery Exhibit are included with sponsorship benefits enjoyed by patrons known as FRIENDS of Olmsted Plein Air. For more information or to become a FRIENDS of Plein Air, email info@olmstedpleinair.com, call 404-376-7075 or join FRIENDS below. Our Thanks to FRIENDS of Olmsted Plein Air, Collectors and Sponsors who make the Olmsted Plein Air Invitational possible. Join Christine for an exploration of water reflections. Learn to create realistic water (including tips on best colors to use, and understanding reflection principles) from photos. A demo in the morning of a pond with water lilies will highlight how the complexity of water and reflections can be simplified. Media can be watercolor or oil. Students should have some prior experience with using their paints and equipment. Christine will demo with quick sketches in watercolor for composition and value and then use oil paints with her no-solvent direct painting method. Please bring your own art materials and photo reference. Oil painters should have a tabletop or portable easel. Tables and chairs provided. This workshop is solvent-free (no Turpentine, Gamesol, Zest-it, Lavender Spike oil, etc.). Christine will talk during the demo about her process. A list of oil supplies will be emailed to students for informational purposes, but is not required. Students are encouraged to bring their favorite supplies. Tuition is $175 . Register by clicking the button below or call 404-376-7075. Highly regarded watercolor painter, Russell Jewell, will present a painting workshop exploring self-criticism through art. This one day workshop is an effort to give participants not only mental information but multiple, physical and visual problem-solving approaches that can be applied to any painting in any medium. Jewell will teach you how to see into the future of your painting before you paint it, thus, allowing you to see the target painting you desire and the confidence to go for it. Russell Jewell’s primary medium is watercolor but his techniques come from his doctorate in art education and his 30+ years of teaching his trial and error approach. In just the past 5 years Jewell has won 15 national plein air awards in only 9 plein air competitions, two of which were Best of Show. In June 2018 Jewell won Best Quick Draw and Artist Choice Award in Parrsboro, Nova Scotia, Canada. In 2016 Jewell won the John Singer Sargent Award with the Transparent Watercolor Society of which, along with the National Watercolor Society, he is a signature member. Jewell’s self-criticism workshop is geared towards independent personal development; it is open to all levels of artists. Participants will learn how to; better become their own best critic. Regardless of what level your art might be, you will see your own artwork in a different light - a light that will allow you to see further down your own path towards success. Tuition is $179 . Register by clicking the button below or call 404-376-7075. Masters Presentations are presented by FRIENDS of Olmsted Plein Air, an active base of supporters and collectors who strive for the sustainability. Rusty will paint live during the evening and share multiple, physical and visual problem-solving approaches that can be applied to any painting in any medium. Jewell will share you how to see into the future of your painting before you paint it, thus, allowing you to see the target painting you desire and the confidence to go for it. At the conclusion, the demo painting created will be available for purchase. Proceeds to benefit the Olmsted Plein Air. Additional paintings will be available for viewing and purchase. Additional paintings will be on display and available for purchase. General Admission is $30 and on a space available basis. Tickets on sale now. Russell Jewell participated in both the inaugural 2015 and 2018 Olmsted Plein Air Invitational. This past spring, Jewell’s painting, “View From Mary Mac’s” was purchased by the Cherokee Twon Club’s Art Endowment Committee and hangs in their noted art collection. In just the past 5 years Jewell has won 15 national plein air awards in only 9 plein air competitions, two of which were Best of Show. In June 2018 Jewell won Best Quick Draw and Artist Choice Award in Parrsboro, Nova Scotia, Canada. In 2017 Jewesll won the distinguished Artists’ Choice Award at Easton Plein Air. In 2016 Jewell won the John Singer Sargent Award with the Transparent Watercolor Society of which, along with the National Watercolor Society, he is a signature member. Artists at Olmsted Plein Air Invitational produce many paintings throughout the week but may submit only three paintings for judging. As the invitational has grown, so have these works in size and scope. Again this year, the Artists paint additional pieces on small canvases. They be on exhibition and sale on Saturday April 28 and again on Sunday, April 29 in the Artists Village. 10:00 AM - 5:00 PM Artists Village in Atlanta's Olmsted Linear Park. Live entertainment, Artists demonstrations & talks and food trucks throughout the day in the Artists Village. 10:00 AM - PETITE PLEIN AIR GALLERY Opens - Returning again in 2018! Small paintings painted during the week by the Invited Master Artists are eligible for the Artists' Choice Award. Perfect starter paintings for new collectors. Typically 6” x 8” or smaller, these original scenes from around Atlanta painted by master artists will enliven any space in your home. Find the Petite Plein Air paintings in the Artists Village Saturday April 28 and Sunday April 29. The Artist Village is located in the Olmsted Linear Park, Ponce de Leon Avenue at Clifton Road. TABLE TABLEAUX COMPETITION - New in 2018! Fusion of Impressionist Painters and Still Life Arrangements. New this year, Olmsted Plein Air Invitational announces Tabletop Tableaux Floral Design Competition, Garden Clubs will choose one of 3 Themes: 1. Vineyards, Wine and Romance; 2. Beach Picnic; 3. Georgia Garden Delights, and set up still life designs on a tabletop. Olmsted’s Invited Master Artists, 30 of America’s most accomplished outdoor painters, may choose to paint any of the still life arrangements. Paintings will be available for purchase off the easel and in the Library at Druid Hills Golf Club. Your are invited to enjoy an evening in one of Atlanta's most spectacular locations, location in the heart of the City. This year, the location of the Garden Stroll will be a PopUp* in a secret location The destination promises to be a perfect location for a spectaular evening stroll, dinner and dance. If you are interested in becoming a Table Host (10 tickets for the price of 8) Purchase your table HERE or call 404-376-7075 or Call 404-376-7075. What is the PopUp* Garden Stroll? It is a beautiful vibrant gathering with art and a dance party under the stars. A celebration of LIFE, ART and COMMUNITY. No other event in Atlanta brings together people to spontaneously celebrate creativity quite like this! Secret Location! You buy your ticket and plan your evening, but one question remains: where will the evening unfold? Guests know the event will take place in the heart of ATLANTA but the exact location is revealed the day of. The goal is be able to celebrate everything the Olmsted Plein Air Invitational... and ATLANTA have to offer from art, parks, and urban skylines. Dress Code! Everyone must wear all-pastel, from head-to-toe. Navy, khaki, red and black are a no-no. Pastel attire is the theme that will pull this Atlanta spring evening gathering together, but creativity is the only thing that's mandatory. We'd love to see hats, belts, accessories and more! Let's toast to Art! Tabletop Décor! Your lovely tablescapes set the tone for a festive evening. This is outdoor dining in style. But your tables can be as simple or elaborate as you want. After setting up, guests wander the venue, wine glass in hand, to see what others have created and meet new people! The Food! We believe sharing a meal is an expression of love. Chef David Sweeney will be taking care of everyone for the night..... and he has committed to go all out in creating, preparing and serving plein air inspired delicious fare to be shared amongst all. The Art! Petite Plein Air paintings will be revealed to event goers in advance of the public and available for purchase. Entertainment! Music is the soul of any party and PopUp Garden Stroll is no different. You have no idea which musical artist might take the stage on April 27th and we wanted to keep that a secret as well! But since this is our first PopUp Garden Stroll lets just say you can be sure the music of Jules and The Gents will get people out of their chairs. * THE POPUP IS A 21+ EVENT. IDS WILL BE STRICTLY CHECKED AT THE DOOR. WE APOLOGIZE FOR THE INCONVENIENCE. *TABLES AND CHAIRS PROVIDED. GUESTS BRING THEIR OWN TABLE DECOR. *RAIN OR SHINE WE WILL DINE! Artists Village in Atlanta's Olmsted Linear Park. Live entertainment, Artists demonstrations & talks and food trucks throughout the day in the Artists Village. 11:00 - 12:00 - Artists Demonstration at Trinity Merchantile in Decatur, GA - “Watercolor En Plein Air, Distilled” Atlanta Artist Ginny Fergus will share her international plein air painting experiences, tips for traveling with painting gear, what to look for in a subject/painting location, and will demonstrate her unique approach to watercolor painting. Ginny will do a live demonstration. A Fresh Perspective on Collecting Art - A conversation Tim Newton, Chairman of the Board of the Salmagundi Club in New York City and Founder and Curator of the Club’s American Masters show. 7:00 PM, April 26. Druid Hills Golf Club* Main Bar. A Fresh Perspective on Collecting Art - A conversation with Tim Newton. You don’t have to be rich or well-connected to build a collection of great contemporary representational art. Now that you’ve bought several pieces, do you find yourself thinking about the next piece of art you want to own? *Druid Hills Golf Club is a private club. Please note proper attire is required. Men are required to wear collared shirts and long pants at all times. Athletic attire, (including fitness and tennis attire,) hats and shorts are not permitted. Jackets for men are recommended, but not required. Cell phones may not be used in the Club House. 10:30 AM - Jill Steenhuis - Lecture, Kennedy Auditorium (FREE) The Spiritual Journey of an Artist - From Buckhead to Aix and Back. How does a Buckhead girl end up in the south of France? Growing up in Atlanta in the 60s and 70s - an age of extreme contradictions in values, lifestyles and philosophies, gave me the grits to risk all, to survive in non-comfort, to seek the unknown. How I navigated through it all is what made me who I am today. My journey has been the spiritual pursuit of my soul and my raison d’être through art and nature. Come have a glimpse of the trek and travel with me, create with me, laugh with me. I give a curtsy to Buckhead and I give my heart to my Buckhead tribal kin for making me who I am. 3:00 PM - until - Artists Paint The Shops Buckhead Atlanta. Participating Artists will be painting in and around The Shops Buckhead Atlanta through the afternoon capturing streetscapes and live models. 6:00 PM - Join us for the 2018 Opening Event [TICKETED] Artists Welcome! Hosted by The Shops Buckhead Atlanta. CLICK HERE for more information and to purchase tickets. Among the techniques that Kathie will be demonstrating are: underpainting/ wash, the laying on of shapes, how broken and airy marks create interest, when to load paint heavily on the brush, and the importance of restraint. At the conclusion, the demo painting created will be available for purchase thorough auction. Proceeds to benefit the Olmsted Plein Air. General Admission is $25 and on a space available basis. Tickets on sale now. In 2017, Kathie Odom was awarded Best Oil at the Plein Air Salon; Honorable Mention and Finalist at The Gateway International Painting Competition; MAPAPA award at Wayne Art Center's 11th Plein Air Festival; Third Place in the Laguna Plein Air Painters Association 13th Annual Best of Plein Air; Honorable Mention at Lighthouse Art Center's Plein Air Festival in Tequesta, Florida; Finalist at the Sedona Art Prize; and Master Class Finalist in the Art Muse Contest. Kathie also participated this year in Oil Painters of America Eastern Regional Exhibition; Oil Painters of America Summer Online Showcase; American Impressionists Society 18th Annual Juried Exhibition; Plein Air Easton; Door County Plein Air Festival; Sedona Plein Air Festival; “Trains, Pleins, Automobiles Show”, “Urban and Landscape Show” and 11th annual “Less is More Show”, all at the Laguna Plein Air Painters Association; American Impressionist Society Small Work Showcase; Olmsted Plein Air Invitational; 26th annual National Juried Exhibition of the Oil Painters of America; and Airsteam Fine Art Invitational. Ms. Odom’s Shows included Artists for the New Century at The Bennington; Legacy Gallery Holiday Small Works Show; and Art Muse 2016 Winners Show at the Jack Meier Gallery. As an experienced and knowledgeable painter, Kathie Odom was asked to Judge both the Gateway International Painting Competition and Paint the Town Plein Air Event in 2017. Ms. Odom was named Artist to Watch in Southwest Art Magazine’s June 2016 issue. Masters Presentations are presented by FRIENDS of Olmsted Plein Air an active base of supporters and collectors who strive for the sustainability and success of the Invitational through their generous contributions. Regarded oil painter and pastel artist Stephanie Amato will present a live demonstration in transparent paints to create reflections in water. At the conclusion, the demo painting created will be available for purchase thorough auction. Proceeds to benefit the Olmsted Plein Air. General Admission is $25. Space is limited. Tickets on sale now. In 2017, Stephanie Amato won the Merit Award from Atlanta Artist Center “Back to the Drawing Board” and was invited to paint American Impressionist Society's 18th Annual Exhibition; Portrait Society of Atlanta Annual Exhibition; Lighthouse Art Center's 4th annual Plein Air Festival; American Impressionist Society "Small Works Showcase"; and the Salmagundi Club’s Annual Floral Exhibitions. In 2016 Stephanie was awarded People’s Choice Award at En Plein Air Texas; and a Merit Awards at Salmagundi Club's annual Nautical Exhibition and its annual Thumbox Exhibition along with Second Place at Salmagundi Club's Spring Auction, and participated in the Georgia Art League Winter Show. Ms. Amato is a Signature Member of the American Impressionist Society and the Pastel Society of New Jersey; a Resident Member of the Salmagundi Art Club, an Associate Member of Oil Painters of America and former President and Member of New Jersey Society of En Plein Air Painters. Highly regarded oil painter, Jim Richards, will paint a live three-hour demonstration at the beautiful Bellmere Garden House. The Painting will be available for purchase after the demo with proceeds to benefit Olmsted Plein Air. General admission is $25. Space is limited! James Richards (AIS) is an American Impressionist painter who specializes in oils, was born and raised in rural Georgia and spent the days of his youth exploring the farms, fields and forests of his hometown. Driven by a passionate connection with nature and a deep sense of obligation to relay his vision in the most truthful manner possible, he began painting at a very young age. James has spent years studying the nuances of paint and developing a keen sense of understanding and control over the medium. He is now regarded as one of the top oil painters and instructors in the country. He considers teaching and sharing his knowledge to be his primary purpose and true calling as an artist. He is a highly sought-after teacher around the world, conducting workshops across the US and Europe. His mentoring program has a year-long wait list, and spots in his monthly workshops within hours of being announced. He is four-time winner in the American Impressionist Society's Annual Exhibition, being awarded Best of Show in 2015 for his painting "Little Chicks", and third place in 2016 for "Garden of Delight". We will discuss some possible solutions, and look forward to a robust audience discussion." Grab your coffee and enjoy the sunrise! Spend the day enjoy getting to know the Park in anticipation of the activities planned for the weekend. Enjoy a self guided tour of Atlanta's historic Olmsted Linear Park. You are sure to see artists working hard! Friday there will be lectures at The Paideia School at 10:00 am Featuring Jill Steehuis and Phil Sandusky. Drinks and small plates included.... and lots of Artists, art lovers and Kevin Gillespee fans. While a ticket is not required to attend this lecture, we kindly request a donation to attend this lecture and your support is considered a charitable donation and will be used to further our mission. The Olmsted Plein Air is a 501(c)3 non profit organization that is dedicated to nurturing the visual and cultural art education and experience through the art of plein air painting. Your donations are tax deductible to the fullest extent of the law. New this year, the 2017 Olmsted Plein Air Invitational comes to Decatur.Throughout the day and into the night on Thursday, April 6, the thirty invited Master Artists of the Olmsted Plein Air Invitational arrive at various locations in and around Decatur to capture cityscapes, architecture and scenic sites on canvas. Find an artist and watch him or her recreate beloved Decatur scenes outdoors (“en plein air”) before your eyes! During the day the Decatur Arts Alliance (DAA) will do live Facebook feeds from selected artist locations. At 1 pm, Impressionist landscape painter and invited master artist Phil Sandusky will recount his adventures documenting “en plein air“the devastation of Hurricane Katrina in New Orleans during his at Trinity Mercantile located at 116 E. Trinity Place, Decatur 30030 from. A book signing will follow. A $20 donation is requested but not required for attendance at this lecture. Artists Paint Decatur festivities are open to the public as a complimentary, family-friendly event in the Decatur plaza. Music begins around 3 pm; live music in the Gazebo starts at 4 pm with a violinist, acoustic guitar at 5 pm, and a drumming group at 6 pm. Then a DJ with sound system picks up until around 8:30 pm. Enjoy great music and complimentary light refreshments (water, lemonade, juice, cookies). Find the music and tent in the paved area between the Gazebo and the Courthouse. The master artists will relocate in and around the Gazebo around 4 pm, setting up their fresh new paintings from the day for judging. Decatur Mayor Patti Garrett and the DAA will present the “Decatur Community Award” of $500 to the winning contemporary Impressionist painter for their painting depicting Decatur. Paintings will be available for purchase right off of the artists’ easels that evening, and again at the public sale on Sunday, April 9 at the Druid Hills Golf Club from 9 am - 3 pm. After the public Artists Paint Decatur, mix and mingle one-on-one with the invited master artists at a ticketed event from 9 – 10 pm at Reunion, 129 Church St, Decatur, GA 30030. Ticket price is $35; purchase tickets online or on the Decatur Square all day. And attend other events* around Atlanta the rest of the week, April 2-9. *Particularly Paint Quick in the Olmsted Linear Park Sunday, April 9. Jill Steenhuis, an Atlanta native who has spent the last thirty years in Aix in Provence, is a recognized artist and authority on Impressionist oil painting. For more than ten years, she was Artist in Residence at Chateau Noir, Cezanne's residence while living in the South of France. Being a noted expert on Cezanne and Van Gogh, Jill will speak on “Walking in the Footsteps of Cezanne". While a ticket is not required to attend this lecture, we kindly request a donation to attend this lecture and your support is considered a charitable donation and will be used to further our mission. The Olmsted Plein Air is a 501(c)3 non profit organization that is dedicated to nurturing the visual and cultural art education and experience through the art of plein air painting. Your donations are tax deductible to the fullest extent of the law. Street Style takes an artistic spin hosted by The Shops Buckhead Atlanta. Enjoy a spectacular progressive party complete with music with Collectors, Friends and Sponsors. Staged between two local art galleries on Buckhead Avenue, this is your opportunity to meet and mingle with 30 of the nation's top Masters of plein air painting. This year paintings will be available for purchase directly off the easel. Guests are invited to enjoy the Artists Mingle beginning in the center’s signature galleries, Anne O Art Gallery and Buckhead Art Gallery, will host cocktail receptions with meet and greets for 30 of the nation’s top masters of plein air painting. From 7 p.m. to 9 p.m., there will be an open-air art festival on Buckhead Avenue with live music, an outdoor flower market, custom cocktails and bites from nearby restaurants – and more. While strolling the area, guests may also bid on silent auction items donated from select luxury and contemporary retailers at the center. All proceeds from the event will benefit Plein Air Invitational youth scholarships. Piedmont Park, Atlanta’s “Common Ground” since 1904, is located approximately 2 miles northeast of downtown Atlanta. The park runs along 10th Street (a block west of 10th & Monroe Avenue to a block east of 10th & Piedmont Avenue) and Piedmont Avenue (12th & Piedmont to just before 15th & Piedmont) in midtown Atlanta.